Top Rated Biology Tutors in San Francisco, CA! Welcome to San Francisco’s top-rated private biology in-home tutoring service! All of the following San Francisco biology tutors are certified by Varsity Tutors, the leading tutoring agency in the country! All San Francisco biology tutors have been background checked, been interviewed, had mock biology tutoring sessions, and been trained by professionals. We guarantee you will love your local San Francisco biology tutor or your money back! Get information regarding a top-rated biology tutor today! Currently enrolled in undergraduate studies at the University of San Francisco, I am a private tutor specializing in science and writing. More specifically, I seek to help students with fundamental concepts in chemistry and biology, and am also available for assistance with college essay writing and general composition skills. In my own studies, I am pursuing a bachelor’s degree in biology and am following the requirements for the pre-medical track. I am strongly motivated in the subject areas of biology and chemistry as I wish to someday attend medical school for surgery. In fact, biology is my favorite subject to study, and I find that I am often able to get even the most reluctant students engaged in the subject through my tutoring sessions. I look forward to working with new students here in San Francisco, CA! I currently tutor biology, anatomy, and other subjects in science to students in San Francisco, CA. I am a private tutor with an honest passion for education and learning. I thoroughly enjoyed every step of my own education and hope to share some of that enthusiasm with the students I work with. I love when students have a clear mindset of the level of academic performance that they hope to achieve and helping them not only reach that, but surpass it. I believe that success is attainable for any student, regardless of their background or circumstances, with the appropriate encouragement, strong study habits, and a good bit of personal interest. I try to make an effort to get the students personally interested in the subjects we explore during tutoring sessions, and find some of the best sessions are those when I can help the student find a personal link to an example or topic. A member of the life sciences academic community myself, I am offering one-on-one tutoring for students seeking to improve their understanding of biology in San Francisco, CA. I am currently in the process of applying to medical school and am very familiar with core topics in the natural sciences. I have more than six years of experience working as a tutor and have helped students with a number of subjects, ranging from math to writing. I have worked as a peer tutor at the college level as well as a tutor for younger age groups, including middle school and high school students. My goal is to help my students to develop a sense of confidence in their abilities and to be able to solve problems in these subjects independently. Having recently graduated with my master’s degree in business administration with a concentration in finance and accounting, I am an individual with very strong quantitative skills and a fresh student mindset. 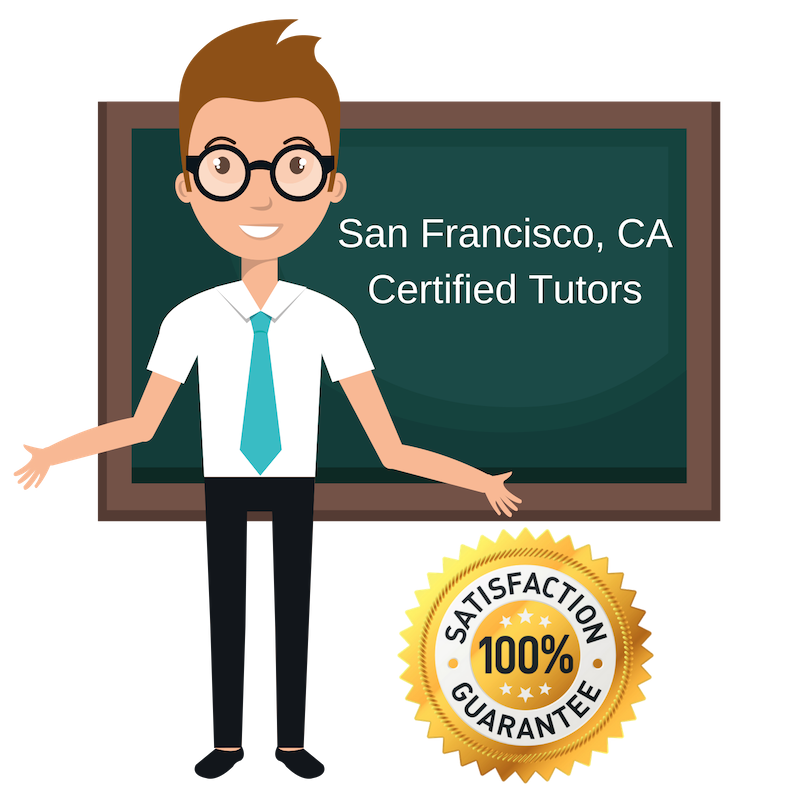 I am now working as a professional tutor in San Francisco, CA. I am willing to help students with different subjects in the sciences and have a personal preference for biology. My graduate coursework has provided me with an excellent work ethic and strong study strategies which I enjoy sharing with my students. I have experience tutoring many different ages, and am happy to accept students of different backgrounds. When I am not tutoring, I enjoy getting active outside. I recently climbed Mount Kilimanjaro! As a teacher and tutor, I have a passion for helping students identify their strengths, interests, and learning styles through studying. I am currently offering tutoring sessions for students in San Francisco, CA hoping to improve in biology as well as other areas in the sciences. I have a diverse portfolio of teaching experience between my work teaching undergraduate psychology courses and my time spent as a counselor and teacher for children with behavioral and learning disabilities. I enjoy working with children and young adults and helping them develop a strong study skill set which they can carry with them throughout their academic and professional careers. I believe in open communication between teacher and student and try to make sure my students always feel comfortable asking questions.